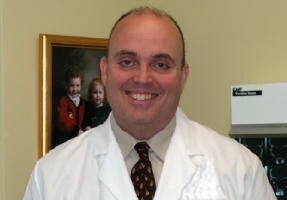 Timothy Friel earned a Bachelor of Science from the University of Maryland, a Masters of Science from Central Michigan University in 1994, and a Masters of Health Care Administration from Capella University in 2016. He began his training as an ocularist in 1983, and has been in private practice since 1989. Beginning in 1996 he practiced at the Johns Hopkins University School of Medicine as a Research Associate for over twenty years. He holds an advanced certification from the American Board of Ocularistry, and is board certified by the National Examining Board of Ocularists. Mr. Friel holds two patents in the United States, one in Canada, and has a patent pending in the European Union related to improvements in the fabrication of the ocular prothesis. He is the Chairman of the Board of the American Board of Ocularistry. He has held numerous positions on committees of the American Society of Ocularists including the Chair of the Rules and Bylaws Committee, member of the Education Committee, and Vice President of the American Society of Ocularists. He was a founding member of, and is now the Immediate Past President of the International Academy of Ocularistry.